When visiting a new vacation destination, the best way to learn more about the local culture is indulging in the delectable cuisine. Here in the South, we offer an assortment of exceptional flavors and regionally inspired tastes to complement each unique city. Some of our favorite food at Fairview Inn can be found at the seafood restaurants in Jackson, MS! Whether you want to try our Mississippi favorites or savor traditional dishes, you’re sure to get your fill at one of these fine dining establishments! Before traveling to the Magnolia State, request a copy of our free Vacation Guide to the Deep South! 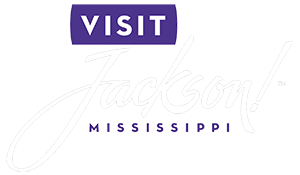 You’ll find our top recommendations for some of the best seafood restaurants in Jackson, MS, as well as historic sites and outdoor activities. Our guide also showcases the unique accommodations and wonderful amenities at Fairview Inn! With a delightful array of delicious things to try and a selection of places to eat, you’re sure to find the perfect meal. Here are our suggestions for the most delightful seafood restaurants in Jackson, MS! Saltine Oyster Bar, one of the most popular seafood restaurants in Jackson, MS, is just a 1-mile trip from Fairview Inn. This modern yet rustic restaurant offers some of the best lunch, dinner, and weekend brunch dishes in the Magnolia State. Our guests’ favorites include Gulf Shrimp & Grits, Fried Oyster Po’Boy, Wood Fire Biloxi Snapper, and Loaded Biscuits & Gravy. You’ll find a gorgeous selection of exquisite wines, on-tap beers, and signature cocktails! Since 1969, Drago’s Seafood Restaurant in Jackson, MS, has and continues to provide indulgent cuisine as well as an inviting atmosphere. Regarded as the “Home of the Original Charbroiled Oysters,” this eatery offers some of the finest seafood on the Gulf Coast. In fact, there are two other locations, one in Metairie, LA, and another in New Orleans, LA. When you visit, an order of the oysters is a must but also try the Shrimp Creole seasoned with cajun flavors! Experience Kim’s Seafood Restaurant in Jackson, MS, one of our beloved dive seafood restaurants, just a quick 6-mile drive from Fairview Inn! You can taste the homemade-inspired flavors and wonderful tastes of the freshly caught fish and is open Monday through Saturday. Whether you enjoy your meal fried, grilled, or blackened, you’ll discover the perfect dish to satisfy your culinary cravings! Seafood R’evolution is located just outside of Jackson and is one of the finest seafood restaurants in Ridgeland, MS. Before heading to this delightful establishment, we recommend calling ahead and making a reservation. Not only will you experience an intimate atmosphere with your partner but also an exceptional selection of top-notch cuisine. We urge you to try the Tramonto’s Caviar Staircase, Seared Sea Scallops, and Turbodog Stout Chocolate Cake. You’ll also find an excellent bar menu filled with wonderful drink options! After experiencing the wonderful seafood restaurants in Jackson, MS, unwind at Fairview Inn. Our boutique hotel offers a myriad of delightful amenities including an on-site restaurant, rejuvenating spa, and literary-inspired lounge. We invite you to browse our lavish selection of guest rooms and reserve the ideal retreat for your getaway. Each of our 18 accommodations showcases stunning antiques, an abundance of natural light, and views of our Southern city.